I used Stuart for drawing up my separation agreement and for filing for my divorce. Stuart was excellent in every aspect. He was flexible and available for appointments, he answered all questions either by phone or e-mail within a timely manner, he was caring and responsive to all needs, and he explained and provided information to keep me comfortable and informed. I would highly recommend Stuart for those looking for a divorce attorney. I was extremely happy with my experience. I would highly recommend Stuart as a divorce attorney. He was responsive, proactive, aggressive when appropriate, yet conservative regarding the my legal costs. Wonderful job all around! Stuart Grozbean was the best decision I ever made! I was feeling really lost with all the mounting problems associated with my pending divorce. Stuart was the only lawyer I spoke to that gave me the confidence that my case would end favorably for me adn my children. He asked me what I wanted to see happen and then he made it happen. Before Stuart, I was in a constant reaction mode to all the events that were happening. Stuart helped me make tomorrows news instead of reacting to it. Very powerful, and ultimately gave my side the upper hand in negotiations. Very knowledgeable about the law. We never had a situation that he didn't have some kind of option to counter on. You will not go wrong with Stuart Grozbean in your corner as counsel. 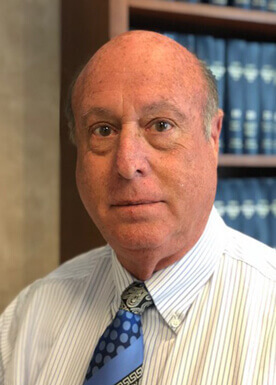 Stuart Grozbean provided me with top-notch advice, support, and legal prowess throughout my entire separation and divorce. He ensured that I understood all the options available to me throughout a particularly difficult custody battle for my 4 children, one with special needs. He went above and beyond to get to know me so that he could provide the legal necessities to secure my rights as a father and my children's best interests. His preparedness for the hearing was superb - the arsenal of legal knowledge that he brought to bear - he was ready for everything the other side had. Most importantly, throughout the entire experience - he followed up with me to make sure that my and my children's well being were first and foremost. If you are a parent looking to gain custody of your children, Stuart Grozbean is your man! Thanks to Stuart I now have primary residential custody of my two young daughters. My custody battle began when my wife left, in the middle of the night, with our children. She moved them more than 1,000 miles, across state lines, away from their father. When my wife arrived at her new “home” she filed a bogus protective order against me, for her and our children. My custody hearing and time leading up to the hearing was extremely difficult for me, but Mr. Grozbean assured me constantly, that he was doing everything that he could to have our daughters returned to Maryland. Stuart did not give up, even when I was at an all time low, and thought that I may never have physical custody of my children again. Mr. Grozbean quickly formulated a plan of attack and never wavered. He put me in touch with multiple experts that could be used in court to discredit my wife’s false allegations. Never once did Stuart blink, keeping my wife and her attorney on their toes at all times. Six months later, when my custody trial began, Stuart Grozbean became Super Attorney. He was able to discredit my wife’s bogus testimony and witnesses, proving to the court that my wife had alienated our children from me, for her own selfish reasons. In the end, Stuart was able to settle out of court, during the custody trial. Stuart Grozbean was able to get me, a father of two young girls, primary custody of our daughters! Mr. Grozbean is sharp, tactful and definitely knows his way around the court system. I could not have asked for a better outcome, or attorney! Stuart Grozbean provided me with information that the three other lawyers I interviewed were unable to provide. He did a good job of informing me of my rights during the divorce. Where I feel he fell short was in assisting me in securing child support payments. I ended up with less child support than required and I'm relying in good faith for my ex to send the child support payments each month w/o the added security of going throught the child support office or courts. Now I'm stuck in a situation where he is skipping child support payments and I have to file with the child support office to get back pay and perhaps garnish wages so I can receive child support payments. This could have been taken care of during the divorce proceedings given the financial history between my ex and I.
Mr. Grozbean was very honest with me throughout my divorce proceedings. He made the legal process extremely easy to navigate. The court date went through without a hitch. Very accurate about the costs associated with my case. I never felt like I was being gouged for cash. No hidden costs. Integrity. He is highly recommended. I just got back from a four hour mediation with Stuart by my side, and let me tell you, he got me more than I thought I could get, and never wavered. Let him do the talking , you won't regret it! I Found out my wife was cheating on me after 15 years of marriage. I was facing an evident divorce, with two children to consider. With fear the court typically looks favorable to the mother, I knew I needed to hire the best attorney I could find. I found Mr. Grozbean's name after searching on line for the top rated attorneys in the area. I found a site that had listed Mr. Grozbean as being among the top attorneys in the Washington DC area. As it turned out, I could not have selected a better educated and knowledgeable attorney as Stuart Grozbean. I highly recommend him. The old cliche is when you think of lawyers who work in divorce law you think of people who are focused on running up legal bills. This is ABSOLUTELY not the case with Stu. He is very experienced with the law and system, thoughtful, smart, practical and truly wants and will advise his clients on what is best for them. He does this by really listening to what the client is saying and structuring the case to best suit that client. In my case, he really listened to my concerns, my goals and helped me come up with the right plan and my divorce was smooth and quick. He told me when he thought I was going down a path that would not work in my favor and helped me restructure my thinking. In the end i was very happy with the outcome. His responsiveness was amazing as was his availability for me.